Sunburns aren’t new to me. I get one every summer from the first day I spend totally in the sun. It is like my body’s way of preparing itself for the summer season. I have never worn sunscreen or even used it on my kids as I think it causes more harm to our bodies than the sun is. There are many treatments for sunburn that can be purchased over-the-counter, I find them both too expensive and too filled with ingredients I don’t want seeping into my skin. This is where my aloe vera plants come in. 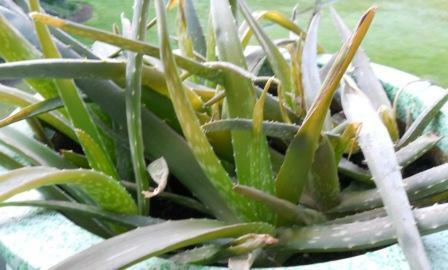 I have been using my aloe vera plants for many different cuts, scrapes, scars, burns and even eating it for many years. Because my sunburn was also extremely drying and covered a large area I wanted to use something that would provide moisture as well as cool it. 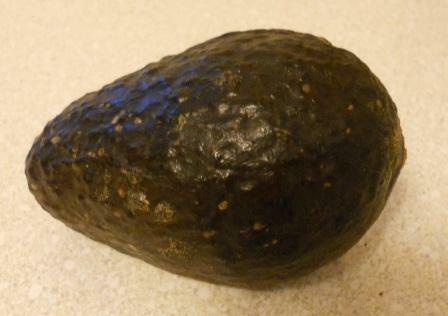 So I looked around my kitchen and found an over ripe almost moldy avocado. You can see the little mold growth on the skin of the avocado above. 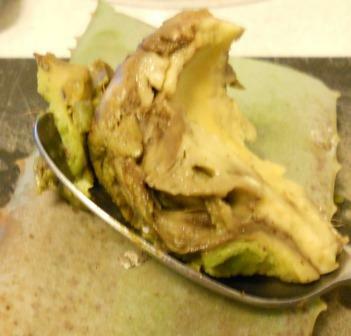 Notice the brown color of the avocado flesh. I scooped out the entire inside of the avocado even the brown parts and put it into a food processor. 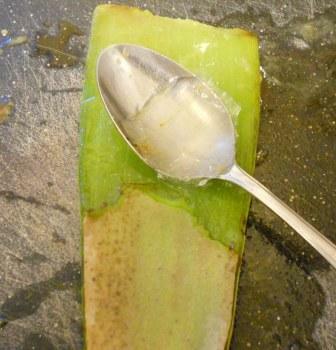 Then I cut a large aloe vera frond from my many aloe plants. And began by cutting off the prickly sides with a pair of scissors. 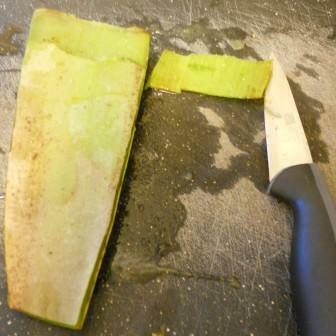 With a pairing knife I began to peel the aloe frond. Because this frond was so large, I only peeled half way down and decided to use the other half for another time. 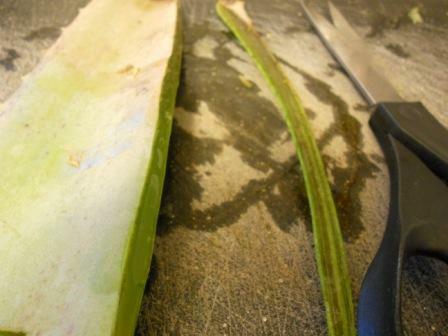 I found a tablespoon works better at scraping the flesh or gel from the frond. 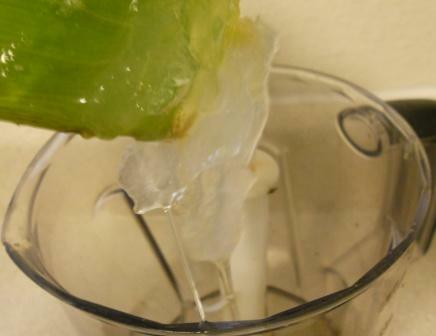 It is easier to scoop or scrap the gel directly into a food processor with the avocado. Whirl around a couple of minutes, scraping the sides as necessary to puree all the avocado. The pureed mixture will have a light brown color to it. Apply it to the affected area with a soft pastry brush, let sit for 30 minutes. Rinse with cool water and blot with soft cloth to dry. As the mixture sits on the skin it will turn a brown color but does not turn the skin brown. Skin will feel soft, cool, and moisturized. I also used this mixture on my face to soothe and cool an outbreak of rosacea. Scoop avocado and aloe vera gel into food processor. Whirl around about 1 to 2 minutes to thoroughly puree. Pour into a bowl. 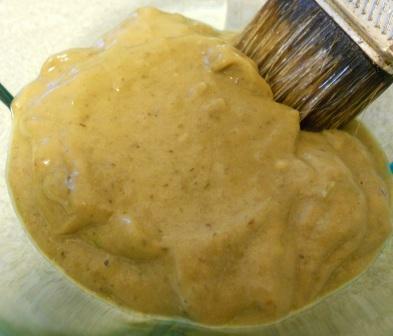 Use a pastry brush to lightly brush mixture onto effected skin. Allow to sit for 30 minutes, rinse with cool water and blot with soft cloth to dry. Repeat as needed to soothe away the burn. (I used it twice for my burn). Leftovers can be stored in the refrigerator, but it will turn brown. It is best to make only what you’ll use. This batch made me about 1/2 cup. This entry was posted in Wednesday's Wellness and tagged Aloe Vera, Avocado, Sunburn Treatment. Bookmark the permalink. Smart! I never thought to use avocado with aloe. Yes, I eat one avocado a day, and suggest my clients do too.